Braxton Car Lights was founded in 1987. 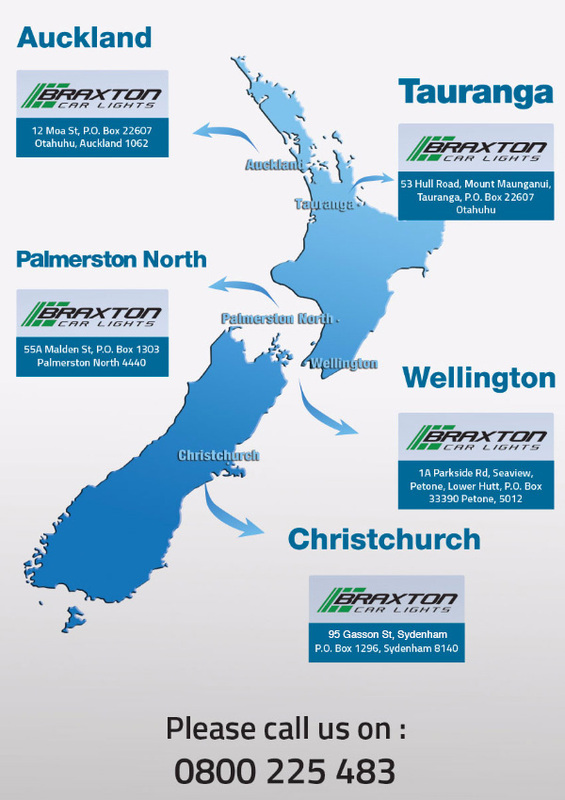 With 30 years of experience in automotive lights, Braxton have grown into New Zealand’s largest vehicle light importer selling high quality new aftermarket and genuine used lights importing from Taiwan and Japan. With over 50,000 lights in stock across our branches located from Auckland, Tauranga, Palmerston North to Wellington and Christchurch, we keep a large range of lights for almost all makes and models. Being a proud kiwi owned company, we also provide services such as, lights and lenses repairs, fabricate plastic lugs and broken adjusters in our branch in Christchurch. If you can’t find the light you are looking for, please call our friendly staff in any of our branches across New Zealand.